Giza (Egypt) (AFP) - Crowds of tourists stared in awe at the towering pyramids of Giza near Cairo Saturday undaunted by a nearby bomb attack a day earlier that killed holidaymakers from Vietnam. A roadside bombing claimed the lives of three tourists and their Egyptian guide Friday when it ripped through the bus they were on as it travelled near the world-famous attraction. The attack comes as Egypt's vital tourism sector has begun to recover after years of instability and jihadist violence that scared visitors away. "I think terrorism can strike anywhere in the world," Somand Yang from South Korea told AFP. "You have to be careful but it is also like luck." Security forces guarded the entrance to the sprawling site and Yang, 32, said she had no qualms about visiting. "Lightning never strikes twice in the same place. So I figured it will be even safer today," she said. 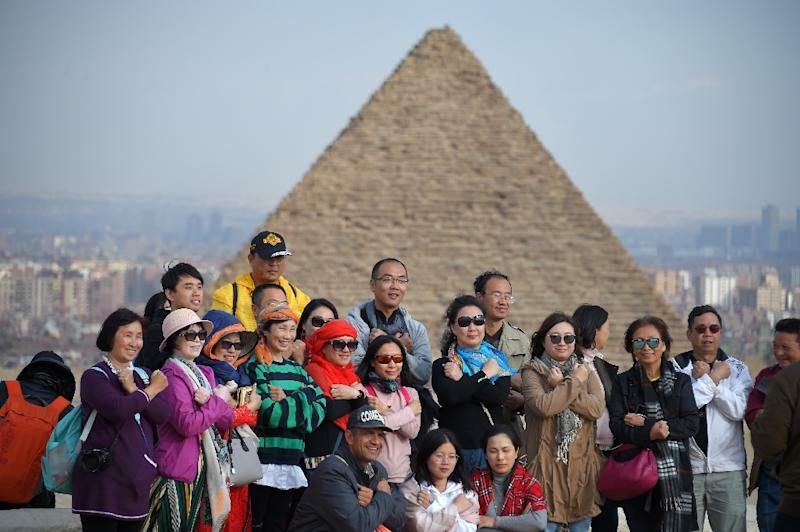 Excited holidaymakers rode camels and queued to enter a tomb as they snapped pictures of the Great Pyramid, the only surviving structure of the seven wonders of the ancient world. Hawkers followed the tourists, doggedly trying to sell trinkets and souvenirs. Despite the steady flow of visitors, Egyptians working at the site said they were shaken by the attack -- and concerned that it could hit their livelihoods. "I knew the guide who died yesterday," said Dalia Sadaka, as she accompanied a group of sightseers. "I completely broke down yesterday, but I had to get to work in the morning," she said, pointing to her visibly swollen eyes. 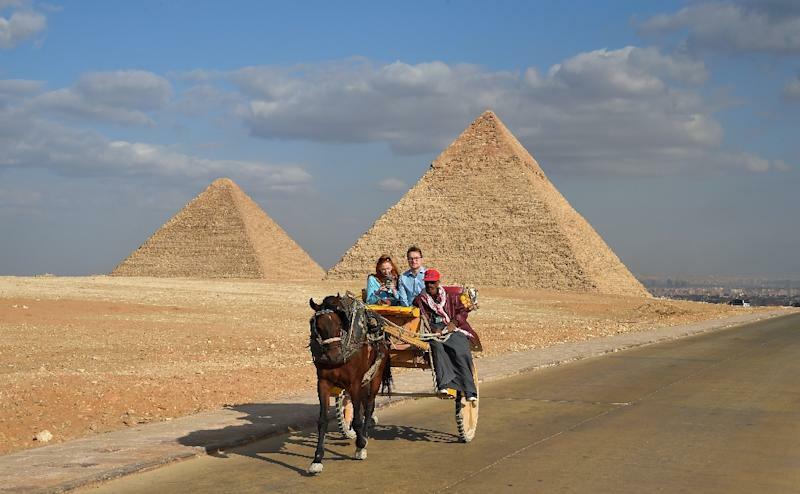 Earlier hit hard by a string of bloody attacks and unrest, visitor numbers to Egypt have more recently staged a partial recovery. In October 2015, a bomb claimed by a local affiliate of the Islamic State jihadist group killed all 224 people on board a passenger jet carrying Russian tourists over the Sinai peninsula. That incident dealt a severe blow to Egypt's tourism industry, which was still reeling from the turmoil set off by the 2011 uprising that forced veteran leader Hosni Mubarak from power. The official statistics agency says arrivals reached 8.2 million in 2017, up from 5.3 million the year before. But that figure was still far short of the record influx in 2010 when over 14 million came. 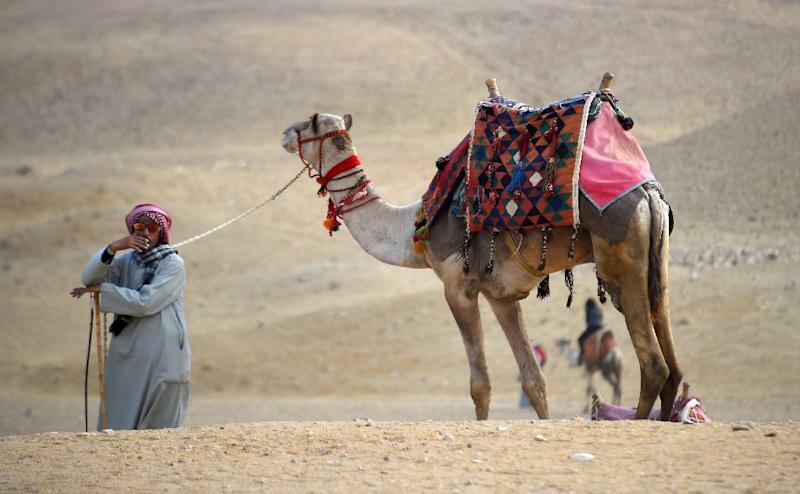 "I fear yesterday's incident may have an impact on our source of income," said an elderly man who offers camel rides, declining to give his name. "It is very regretable," he said. "We were finally happy that tourism started picking up a bit."